Visa cards are among the four major types of credit and debit cards in the U.S. Nasdaq reports that there were 278 million Visa cards in the U.S. and 522 million in the rest of the world. Visa cards are popular for both businesses and consumers because of the security that they offer and because they are accepted by most merchants around the world. In the United States 28% of businesses accepted credit or debit card payments online. An increasing number of businesses are turning to business Visa cards as their preferred payment method. Over the past two decades, the payments landscape has dramatically changed. According to the 2016 Federal Reserve Payment Study, U.S. households made $117.5 billion in card payments in 2015 in lieu of paying by cash or check. This was a significant increase over the $50.7 billion in noncash payments that were made in 2000. Businesses have also decreased their use of checks and increased their use of cards. In 2015, businesses made 32.8 percent of their payments using checks as compared to 83.1 percent in 2000. A Visa business card is a Visa card that is designed for businesses. Visa business cards include both a Visa credit card and a business Visa debit card and offer features that consumer credit and debit cards do not. A business Visa card may offer discounts on certain types of business purchases, rewards, perks, and other features that are not offered to consumers. A Visa card for businesses may be used to purchase items or to pay for travel and entertainment expenses. Using a Visa business card can also offer more spending transparency and help to reduce the potential for internal theft and fraud if they are used together with strong expense policies. The best business Visa should offer expense controls to make it easier for businesses to manage their expenses. A Visa debit card may allow companies to import transaction information directly from the cards into the companies’ accounting software. This feature can help business owners to understand exactly where the business is at while also minimizing the possibility of data entry errors. Businesses that decide to use Visa cards for their purchases might be able to replace other payment systems within their companies such as reimbursements, petty cash, and checks. This can help to prevent some common types of business fraud. The best Visa cards for companies may be debit cards instead of credit cards because debit cards provide even more transparency and can have additional restrictions placed on them. Visa business credit cards are credit cards that are meant for businesses instead of consumers. Many different financial institutions offer Visa business credit cards. When businesses use Visa business credit cards to make purchases, the purchase prices are added to the attached lines of credit. Like consumer credit cards, Visa cards charge high rates of interest. Some business Visa credit cards also charge high annual fees and other transaction fees. Unlike consumer credit cards, business credit cards are not covered by the provisions of the Card Act. This means that lending institutions are able to raise rates and to add fees without notifying the cardholders. To get a Visa card for your business, you have to complete a credit application. Lending institutions typically check the credit of both the business owner and the business when they make credit decisions, and most of them ask for a personal guarantee from the business owner. New companies and businesses that have marks on their credit histories might be unable to get approved for Visa credit cards. Since the business owners have to submit to credit checks to get credit cards, their credit scores may be impacted. It is important for businesses to take time to compare different cards before they submit credit applications so that they can find the cards with the best rates and the lowest fees. An alternative to using a business credit card is using a Visa business debit card. Like business credit cards, business debit cards offer features that are not available with consumer debit cards such as built-in spending controls and expense management apps. When companies use business debit cards to make purchases, the costs are subtracted from their linked accounts instead of adding to their company’s debt. Business cards do not charge interest since the money that is spent is the company’s funds instead of from a line of credit. Business debit cards may allow companies to restrict purchases to certain merchants, establish spending limits, and to have more control over the way in which their money is spent. Using a debit card can allow a business owner to see how much money has been spent at any time by simply logging into the business’s dashboard. Since debit cards are not credit cards, businesses do not have to submit to credit checks in order to get them. Businesses can get debit cards for their companies from a variety of different banks and card issuers that focus on offering smart business solutions. Businesses that are averse to debt and that want to have enhanced controls over their expenses might find that debit cards are a better choice than credit cards. Businesses can distribute debit cards to their employees to use to make purchases and restrict when the cards will work, where they can be used, and how much the employees can spend each day or week. A Visa prepaid card is a third type of card that can be used to make purchases. Prepaid cards differ from both debit cards and credit cards. Instead of the Visa prepaid cards being linked to a business’s debit account, the business can simply purchase Visa prepaid cards in the amount that they want to spend. The purchase price of Visa prepaid cards for business will serve as the spending limit on the cards. Businesses are able to get Visa prepaid credit cards online or directly from merchants. Some prepaid cards can only be used at the retailers from which they are purchased. Visa prepaid cards can be used wherever Visa is accepted. Prepaid cards do not allow businesses to place additional restrictions on them. They can be useful to businesses that want a simple way to control how much money an employee can spend, but they may not be able to prevent employees from using them to make unauthorized purchases. What are prepaid Visa cards? A virtual Visa card is not made out of plastic. Instead, it consists of a randomly generated string of credit card numbers and a CVV code. People are able to generate virtual Visa cards by using a card API or through their online dashboards. Virtual Visa cards represent underlying cards or accounts, but they can’t be used to access them. When people use Visa virtual cards to make purchases, the numbers stop working once the purchases are made. This means that even if a thief steals the virtual card numbers, they won’t be able to use the numbers to make any purchases or to withdraw funds from the underlying accounts. Virtual cards can be credit or debit cards. Virtual credit cards represent an underlying credit card while virtual debit cards represent an underlying debit card. Depending on which type of virtual card that a business uses, charges that are made with the card will be routed back to the underlying credit or debit account. Businesses can benefit from virtual cards because they offer a secure way to make purchases online, by telephone, or by facsimile. Businesses can instantly generate as many virtual cards as they need, and the cards will be ready to use within minutes. Visa virtual credit cards are randomly generated credit card numbers and CVV codes. When you want to make a purchase, you can sign into your account and generate a number. The number that is provided will change every time that you make a purchase, providing additional security beyond what is provided by a chipped card. Visa virtual credit cards represent underlying Visa cards. When you make a purchase with a Visa virtual credit card, the number works only during the purchase. If a hacker steals your card number by hacking into an online business’s website, it will be useless. Virtual Visa credit cards can represent your underlying debit account. When the cards are used in this way, the purchases will be subtracted from your account balance rather than being added to a revolving line of credit. Using virtual cards can be helpful when you are preparing to make a purchase from a new supplier that you do not trust. If the supplier tries to use the number to make other charges, the attempts will be declined. Debit cards differ from Visa virtual debit cards in a few ways. A debit card is a plastic card that businesses can distribute to their employees. The employees can then use the cards to make purchases on behalf of the company that have been authorized. Debit cards can be used to make in-person purchases. By contrast, Visa virtual debit cards may not be used to make in-person purchases. Instead, Visa virtual debit cards are used to make purchases remotely. 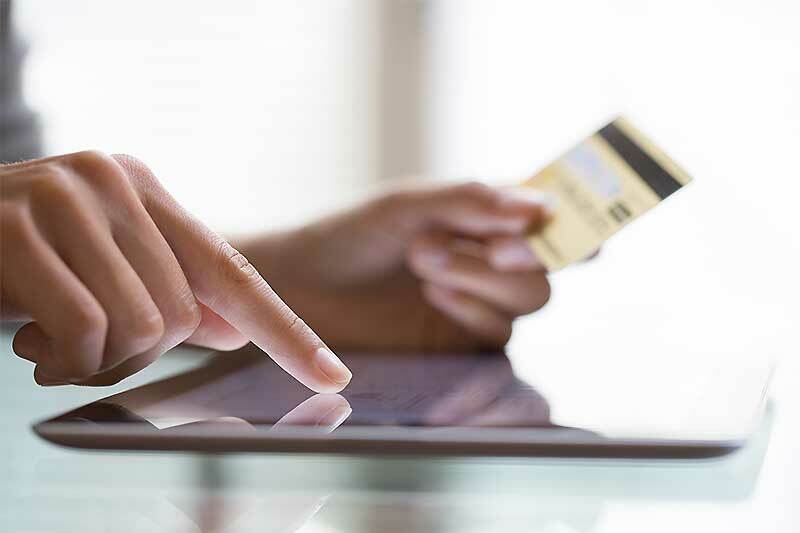 Most merchants are not set up to accept virtual Visa debit cards for in-person purchases. However, some merchants are moving in that direction by starting to accept payments from Google Wallets and Apple Pay. Business debit cards may be used on an ongoing basis by employees while virtual card numbers normally expire after a single purchase. 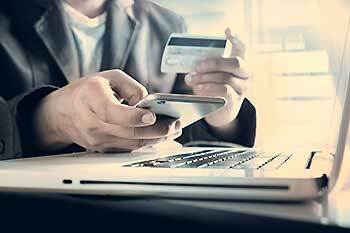 Both types of payment solutions may benefit businesses, and many companies use both. Reloadable debit card Visas are cards that businesses can decide how much money to initially fund the cards with. When the balances are spent down, the companies can then add more money to the cards from their accounts. Reloadable debit card Visas can be used by employees to make authorized purchases for their employers according to their expense policies. When the purchases are made, they are subtracted from the money that has been placed on the reloadable Visa cards. A reloadable Visa debit card may have available expense control features, making it safer to use. Businesses can decide how much money to place on each reloadable debit card Visa that they issue to their employees. The businesses can fund each reloadable Visa credit card with different amounts, and they can see the balances on the cards and the purchases that their employees have made from their online dashboards. If the business owners see any problems with how their reloadable Visa debit cards have been used, they can turn them off remotely from their online dashboards with a click of a button. Business owners can also turn cards on remotely at any time. This can help in cases of misuse or when a card has been lost. How are reloadable Visa cards for business different than consumer cards? Effectively managing your expenses is vital for the protection and success of your business. Despite the importance of good expense management practices, many businesses do not have strong internal controls and fraud solutions in place. Businesses should start by writing strong expense policies that clearly outline the types of expenses that are authorized and what types are not. The policies should include provisions for how the company will handle unauthorized purchases. Some business Visa cards offer fraud solutions by allowing you to integrate your expense policy into them. You can check your fraud risk by using our free fraud calculator. The calculator can help you to identify areas in which your company is at risk so that you can make changes and find the fraud solutions that can help your company. Visa cards have built-in tools that offer fraud solutions. If an employee has attempted to make an unauthorized purchase, you can see the attempt and shut the card off remotely. You can also limit where the employees are able to spend your money with their cards and set spending limits by the day or week. What is a fraud calculator? When you incorporate debit cards into your company’s payment system, you can eliminate expense reimbursement systems. Instead of having your employees pay for items out of their pockets and submit expense reports for expense reimbursements, you can simply distribute pay cards for employees. Eliminating expense reimbursements can benefit you and your employees. It can protect your business from fraudulent reimbursement requests. Some employees may pad their expense reports or submit requests for personal purchases. Employees can benefit from employee cards because they will not have to wait for their expense reimbursement checks to be approved and issued to them. Using a Visa business card can help employees to feel better about their jobs while helping to protect you from fraud. With the built-in controls on the cards, you can help to prevent unauthorized purchases. You can also see the purchases that have been made and eliminate the problem of tracking paper receipts. Your employees can instead simply take pictures of the receipts and submit them electronically together with the transaction information. Some Visa cards have built-in controls that allow you to determine how much money each of your employees can spend. You can restrict where they can make purchases by merchant category codes. You can also turn the cards off when your employees are not at work and turn them back on when they return. With a trackable Visa debit business card you can learn how to more effectively track your business expenses. When employees use their cards, the transaction data is automatically sent to your accounting software and uploaded. The pictures of the receipts also are sent to the accounting software. These features allow you to know exactly where your business is at whenever you want to check. It also makes the job of your accountant easier. When your accountant is reconciling your accounts or preparing your taxes, all of the information that is needed will be available without having to track down receipts and expense reports. Bento for Business is a leader in the business payments space that has been recognized by multiple national publications, including Forbes and the Wall Street Journal. The company offers debit cards that have extensive controls to help with expense management for companies of all sizes. They have earned great reviews from its thousands of customers. It offers a free 60-day trial so that businesses can determine if the cards are a good choice for them. You can also ask for a live demo so that you can see how the cards might work. To learn more, call us today at 866.220.8455.